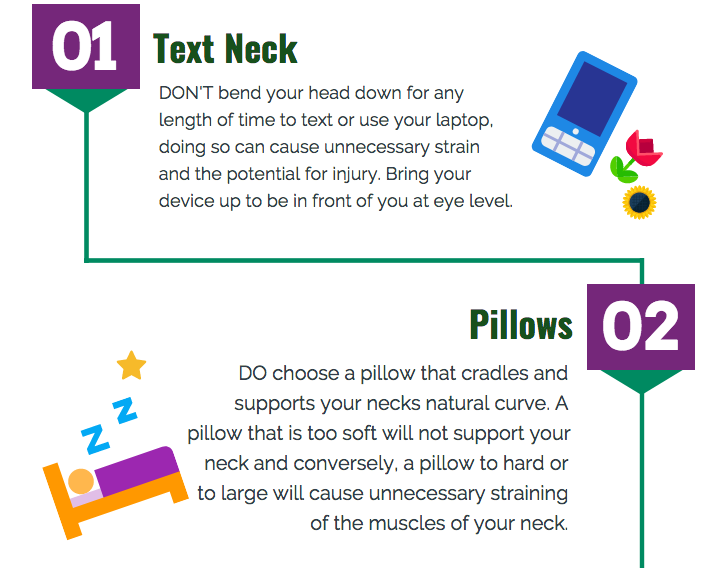 The Do’s and Do Not’s of Neck Pain! Time and time again we are told to sit up straight, don’t slouch, keep our shoulders back and have better posture. 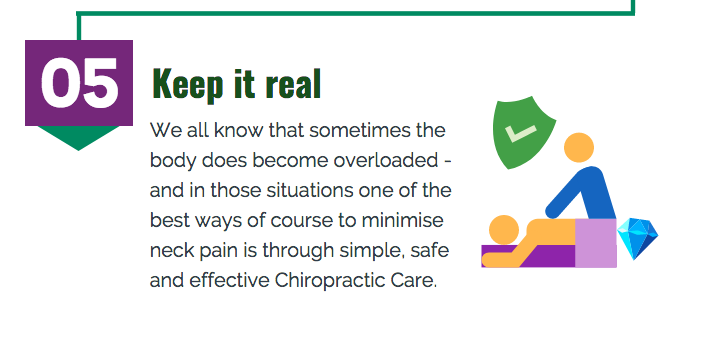 It is far less often, that we are told what steps we can take to achieve to reduce back and neck pain and maintain this better posture so many people talk about. 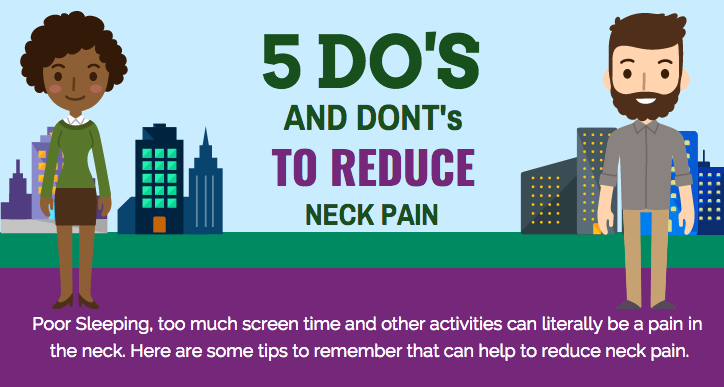 It’s a well known fact that poor sleeping, too much screen time on mobile devices and other routine activities can literally be a pain in the neck. 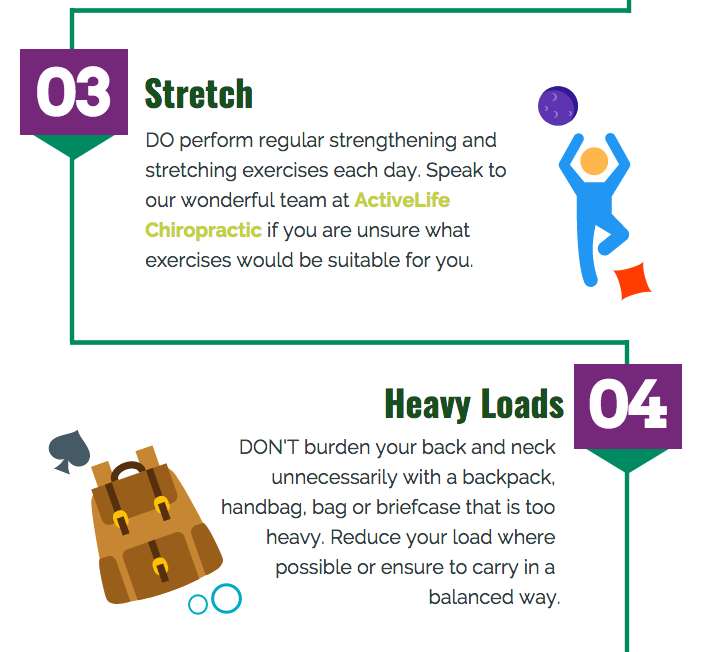 The tips above are by no means exhaustive but following them can help you to avoid neck pain or spine injury. If you have any questions or concerns please don’t hesitate to speak to our Singapore Chiropractors at ActiveLife Chiropractic.